With nearly 100 years of landscape maintenance experience on staff, we maintain around 150 customers on a weekly basis - about 60% commercial and 40% residential. We offer a wide array of professional services, year-round and seasonally, to maintain and improve your landscape. We pride ourselves on our professional employees, most who have been with Pagel's Landscape Maintenance for the long term. All of our employees speak English well, as we feel it is imperative that our customers be able to communicate with any of our employees. Our staff includes two Certified Landscape Technicians (CLT) in landscape maintenance, one CLT in irrigation, and three employees with their Commercial Pesticide Applicator licenses.  We are members of WALP, (Washington Association of Landscape Professionals) and have been active members of our community. We pride ourselves on is our flexibility and listening to what our customers want and what will work for them. We can usually design a maintenance plan that will fit your needs and in particular your budget. I am a very hands and visible owner who spends a lot of time working on job sites. Because my employees are valuable to me I provide medical and dental benefits in addition to vacation time & sick leave.